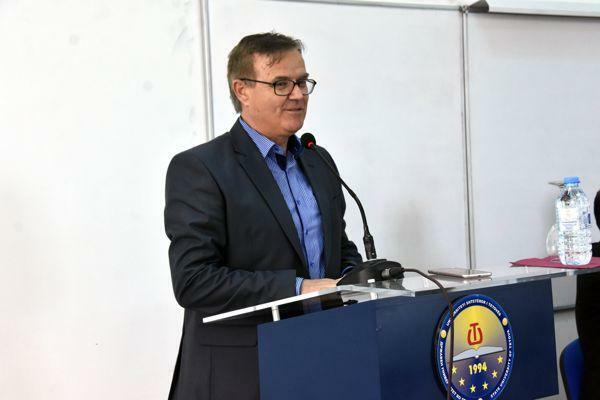 At the Faculty of Philology of the University of Tetova, were promoted 12 issues of literary journal “Illz”, dedicated to Albanian personalities like Gjergj Fishta, Naim Frashëri, Ismail Kadare and Zija Cela. 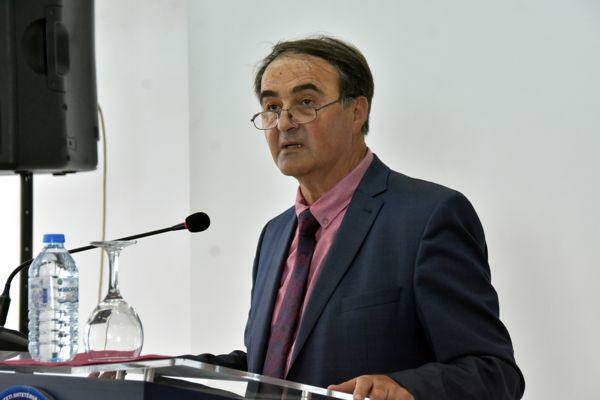 In this promotion, special emphasis was put on issue 10 of this journal dedicated to George Castriot –Skanderbeg.Dean of the Faculty of Philology of the University of Tetova, Prof. Dr. Fatmir Sulejmani, said that this journal is published every two months for two years now and has managed to be imposed as one of the most valuable journals in Albanian territories. “Journal “Illz” is a great value for our culture. It is also open to the values that are created in different cultural systems. 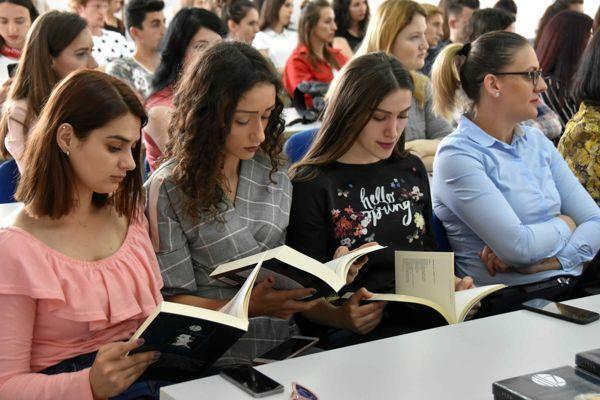 A culture is enriched when manages to gain values from other systems and in this regard this journal with its director Izet Duraku, editor-in-chief Rexhep Shahu and supporter Flamur Hoxha gives a great contribution. Beside the journal there are published many valuable books about our culture and history and this should be appreciated. 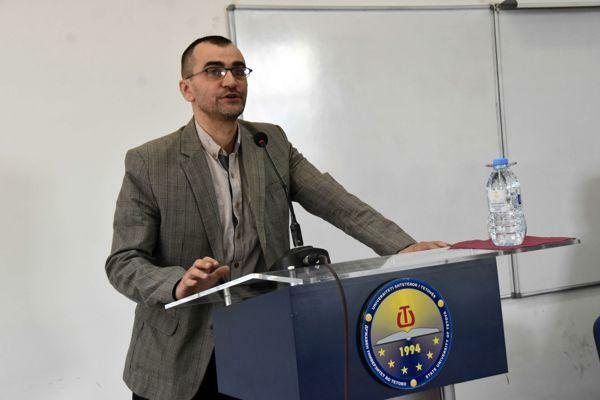 “Illz” is the journal we need” – said Prof. Dr. Fatmir Sulejmani. Editor-in-chief of journal “Illz”, Rexhep Shahu, in his speech mainly was focused on the 10th issue of this journal. 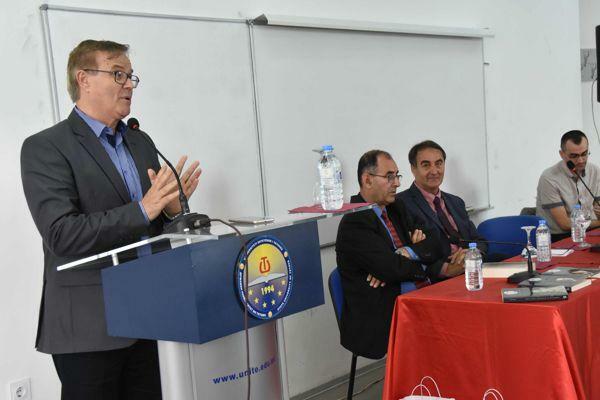 “I would like to thank the Rector of the University of Tetova, Prof. Dr. Vullnet Ameti for the hospitality and the opportunity he has given to us that in front of the students and professors to present our literary journal. 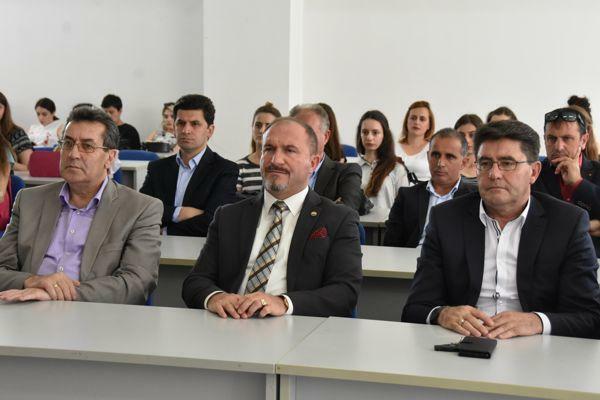 This is a great appreciation that has been done to us like in no other Albanian city. 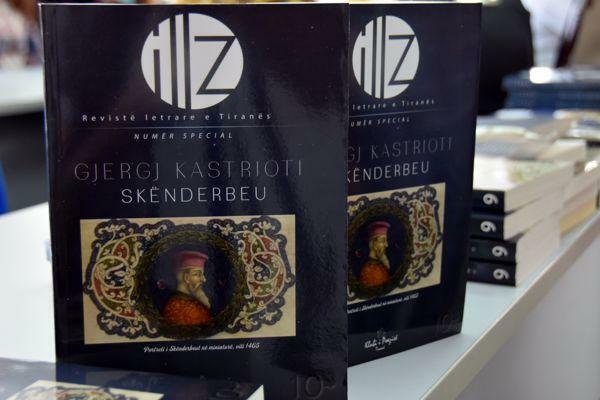 The journal about Skanderbeg has 115 authors, 30 exclusive writings and 25 translators have worked to bring before the readers unknown writings so far for Skanderbeg and is considered to be the most special and most expansive publication so far for the personality of George Castriot –Skanderbeg”- said Rexhep Shahu. 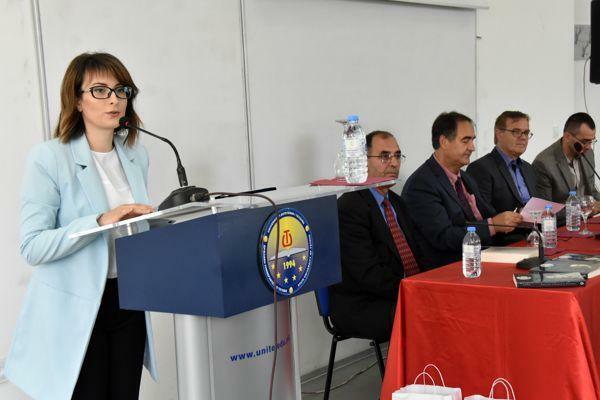 Director of the journal, Izet Duraku, said that the journal “Illz” has a mission to convey messages of peace and goodwill through literature. “The journal has a mission to pull down the barriers between countries, peoples and nations, and bring kindness, peace and love through literature. 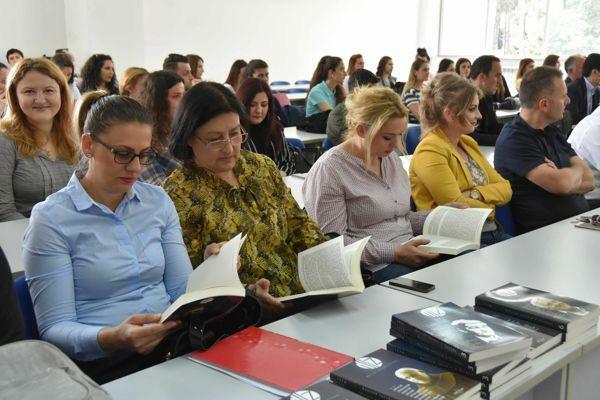 We came to Tetovo as missionaries of the free speech, of the beautiful and good word for the people, always in their service in the sense of goodness, of good values of good example and better than anyone else this is brought by literature and through this journal we try to get into every Albanian” – said Izet Duraku. 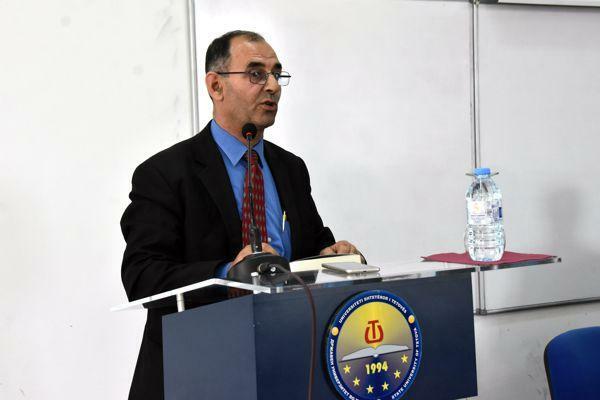 Professor Salajdin Saliu said that from the topics that this magazine treats we understand that it is a well-structured journal. “Journal “Illz” is a great value for our culture. It is also open to the values that are created in different cultural systems. 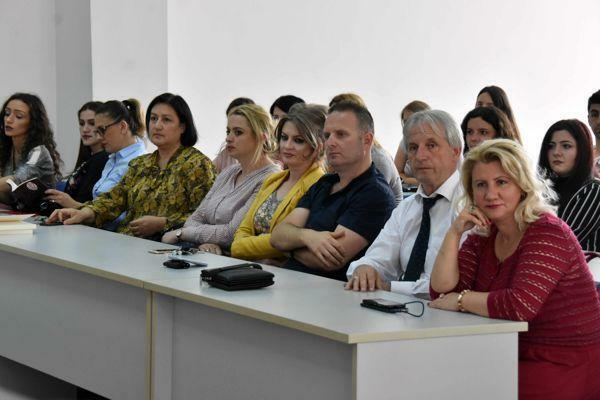 A culture is enriched when achieves to gain values from the other systems and precisely in this regard this journal gives great contribution with its director, Izet Duraku, editor-in-chief Rexhep Shahu and supporter Flamur Hoxha” – said Doc. 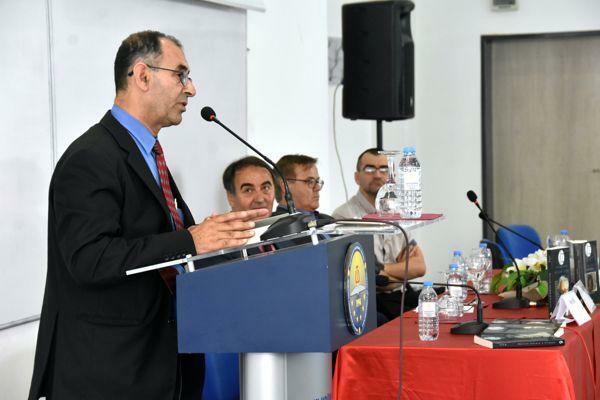 Dr Salajdin Saliu. 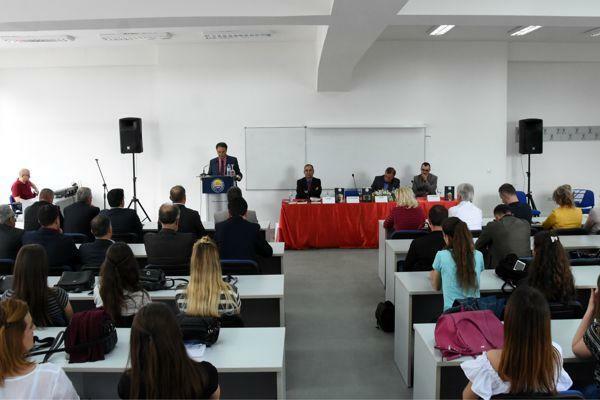 In the promotion of the journal “Illz” were present: the Rector of the University of Tetova, Prof. Dr. Vullnet Ameti, Vice-Rectors, senators, deans, and professors and students of the Faculty of Philology. 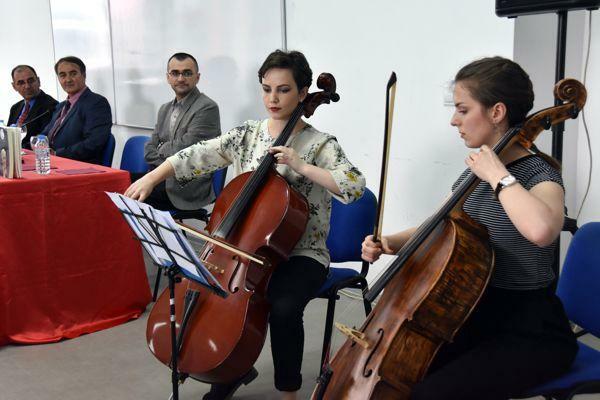 This event was enriched with an artistic point, a string duo prepared by the students of the Faculty of Arts, Arberesha Ademi and Gresa Memedi.